UK Casino Information: When You Hit The Jackpot in the USA: What Happens Next? 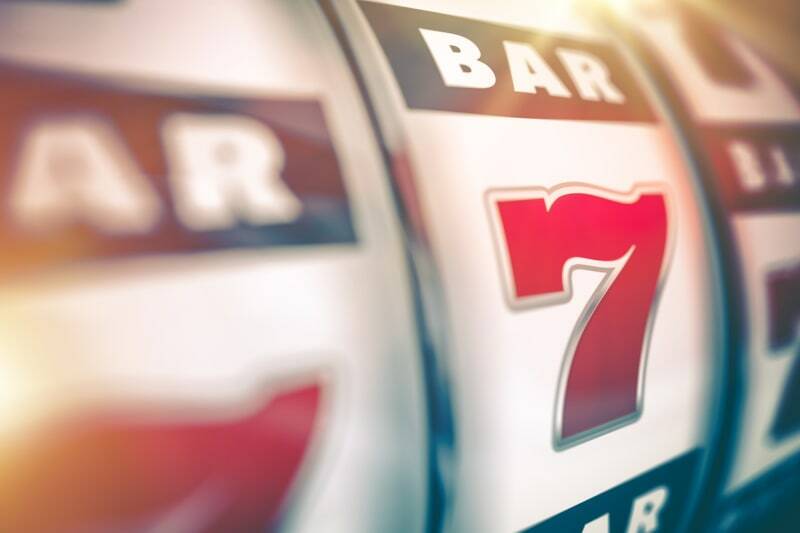 When You Hit The Jackpot in the USA: What Happens Next? So, you've hot the JACKPOT! Wow! It's every gambler's dream. But you may be surprised to learn that you can't collect your money and walk off into the sunset. Well, not just yet. 1) Resident or not of the US you have to complete a tax form. That's right. No escaping the RSA as they want a slice of the money pie. Get ready for the W - 2G form. It's a special document for ''certain gambling winnings''. If you have lost money gambling before you may be able to deduct the money owed. Well, if you kept a record of your winning and losing. Unlikely, hey. Big Brother is watching you. So your name isn't Winston Smith but as soon as you hit the jackpot a casino worker will be hurrying towards you as a signal has been sent to a monitoring room. They will need to verify your win. Sometimes machine malfunction and they don't want any jiggery pokery. Basically, you will need to have ID else you won't be getting a cent. Non residents will have to use their ID and pay a different amount of tax. Casinos have been known to keep winnings for years until all the boxes have been ticked. OK, so you win big. Up to $5,000 you are likely to be handed a bundle of cash but if its millions you won't see someone careering down the isle with a wheelbarrow filled with $100 dollar bills. The thought. Yes, please. Unsurprisingly, you are likely to be paid with a BIG cheque (or check as they say in the US). Casinos do like paying you cash. The reason, you might carry on playing and give some or all of it back! Also, you will be checked to see if you are legal in their state. If for whatever you have been excluded. Bang. You won't get a shiny farthing. This exclusion is usually placed on gambling addicts and if they casino allows such players they can be fined. Imagine losing all your money and then strike the jackpot and not given a cent! How come? Well, when you win it has to be verified. Hold your breath. The dreaded malfunction could stop a rhino in its tracks. As you may have read with a big ''winner'' from New York winning $43 Million doesn't mean you are a WINNER. So you get the bulk of the cash. Rightly so. However, the casino may offer you an annual fixed sum. It might be the smarter choice. We all remember what happened to Michael Carroll when he won the National Lottery. It may help you look after your money and reduce the hefty tax bill. Not all bad then. You have 90 days to make your decision so I'd do it was some 5 star hotel in Hollywood. Helps you think better. The casino will be on your back and trying to promote the hell out of your win so make sure you do what is good for you. Just think of all those hangers on who will remember you from school days. Right or wrong - a big winner could mean you got lucky or an incredible thief. The majority are the former. However, the casino will be taking note of your every move, just in case lightning strikes twice. If you win BIG BIG MONEY you will have to wait a while for your wonga. Money doesn't grow on trees even in Las Vegas. After all the checks have been made they will usually get you the cash in a few hours. However, some slots are paid out by the manufactures and that can take several weeks. OK, don't go buying the Lamborghini just yet. Just think how many people lost for you to get that big win! For instance, a slot machine with 64 stops on each real pays out 1 in almost 300,000. Blimey. And most machines have a lot more stops than 64. In general, slot machines take 25% of the money so if you win $4 million the casino has probably made $1 million overt hat period of time. It is virtually impossible to cheat slot machine although it has been done.